J&R’s Islip Steak House Restaurant staff wishes everyone a happy and safe Holiday Season! 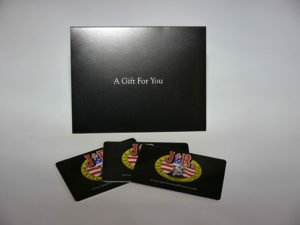 Starting on Black Friday J&R’s will be offering a special deal on J&R’s Gift Cards. For every $50 J&R’s Gift Card you purchase, you will receive a $10 Bonus Gift Certificate for yourself!